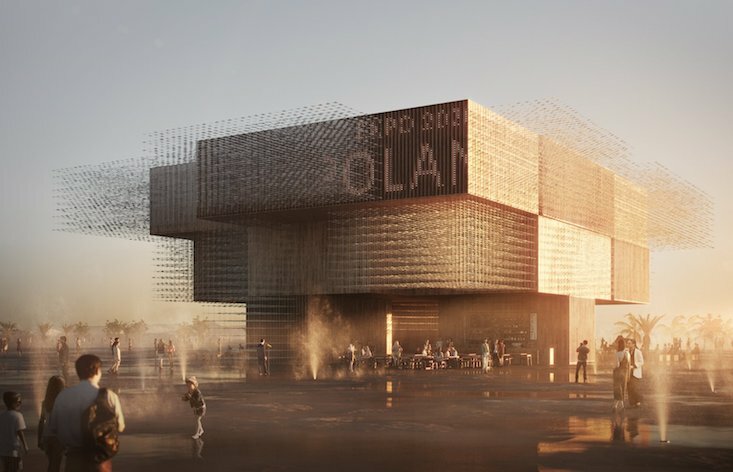 Poland has revealed plans to create a nature-inspired pavilion for the Dubai 2020 World Expo, covered with artificial flocks of moving birds. Created by Warsaw-based WXCA alongside Bellprat, the building is designed to evoke the image of a tree opening its branches. A kinetic art installation designed to mimic flocks of birds will also move across the building’s facade. Designers say they were inspired by Poland’s rich wildlife, and particularly the country’s status as one of Europe’s most important breeding grounds for migratory birds.